Angina, which is also called angina pectoris, is a common symptom associated with coronary artery disease. Most patients with angina report chest pain or pressure that occurs during exercise, activity or stress. Stable angina is a chronic health condition that can impact the quality of a patient’s life. Learn about how to manage angina to improve your patients' health and well-being. 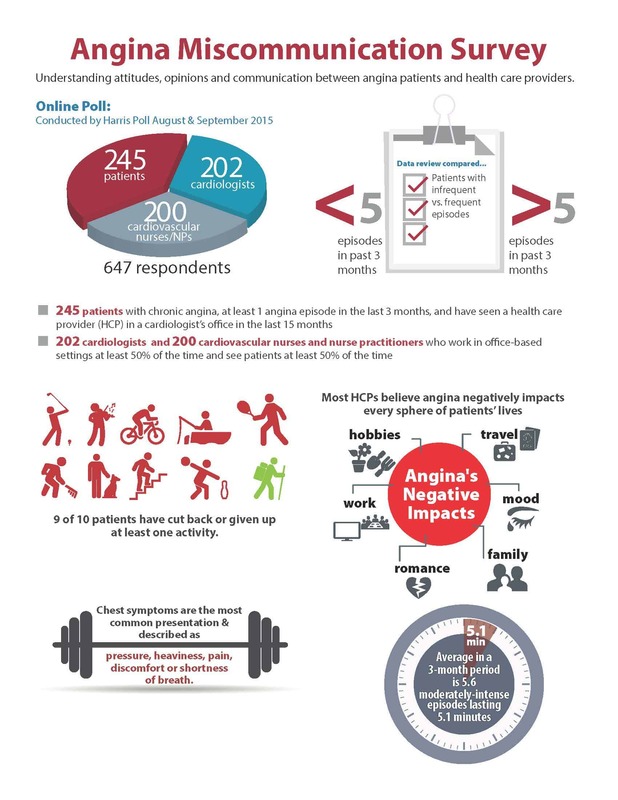 Designed to help you improve your interactions with patients with angina, this infographic identifies the key issues and messages that you can use in the clinical setting.